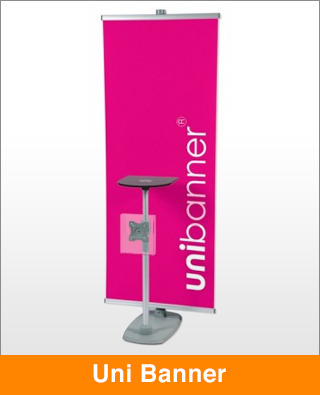 UniBanner gives you almost endless flexibility with your displays and the convenience of fast assembly and a fantastic high tension banner system for a perfectly flat graphic display. Transform your possibilities by adding an adjustable table. If you have any questions about this product or would like a quote, please get in touch using our contact form.